What factors are considered in the calculation of child support? 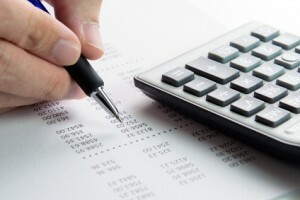 Home » Turner Law Offices Blog » What factors are considered in the calculation of child support? With all Tennessee Family law cases, the outcomes are dependent on the specific facts of the case. In Tennessee Child support cases the following factors can and will be used to determine the child support obligation of both Parents after a divorce case. Additions to the Mother’s or Father’s income. This would include but not limited to the receipt of alimony or other forms of income other than wages. Any money paid out to the benefit of the child or children, such as health insurance premiums or work-related childcare costs. Tennessee Child Support Calculator uses these factors to show what share of income is due from each parent. There are many Nashville Child Support cases where the child support order does not exactly follow these Guidelines. Deviations are the discretion of the Court and typically are included in an agreement that must be presented to the Court for approval. Turner Law Offices has a simple Child Support Calculator to offer you a sample of what your child support might look like. It is always best to consult with an Nashville Child Support attorney for assistance with setting your initial child support. We offer a FREE Consultation for all New Client matters. Please call Today to set up your appointment.